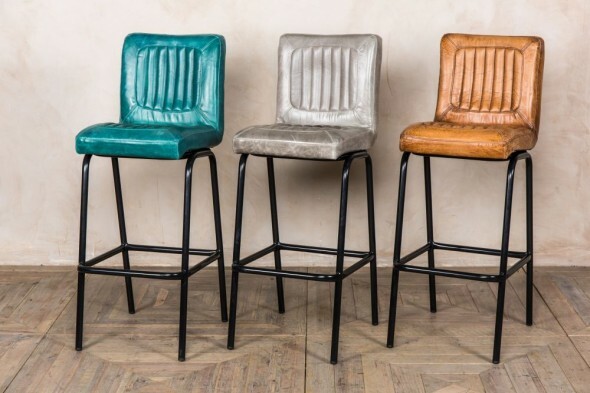 Introducing our brand new, UK-manufactured, ‘Jenson’ range. 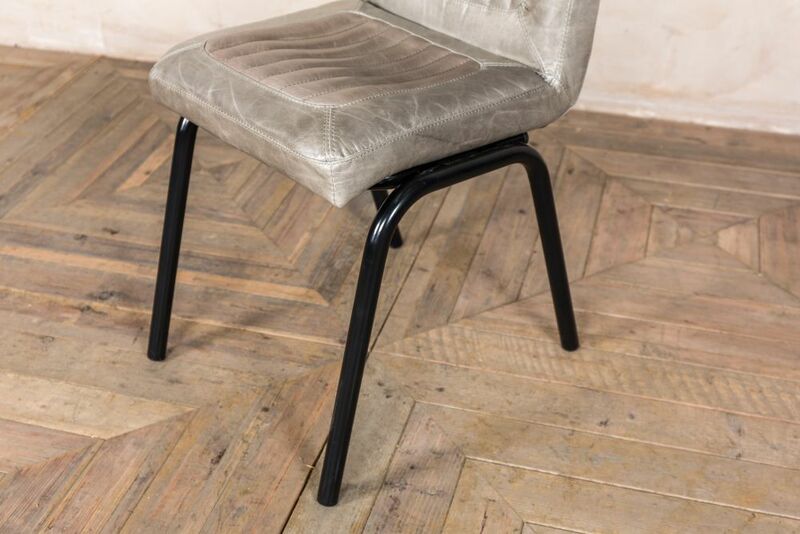 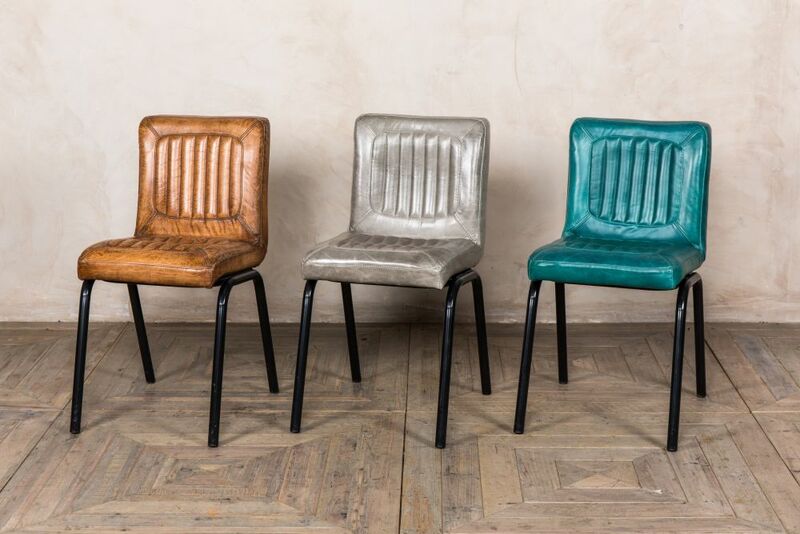 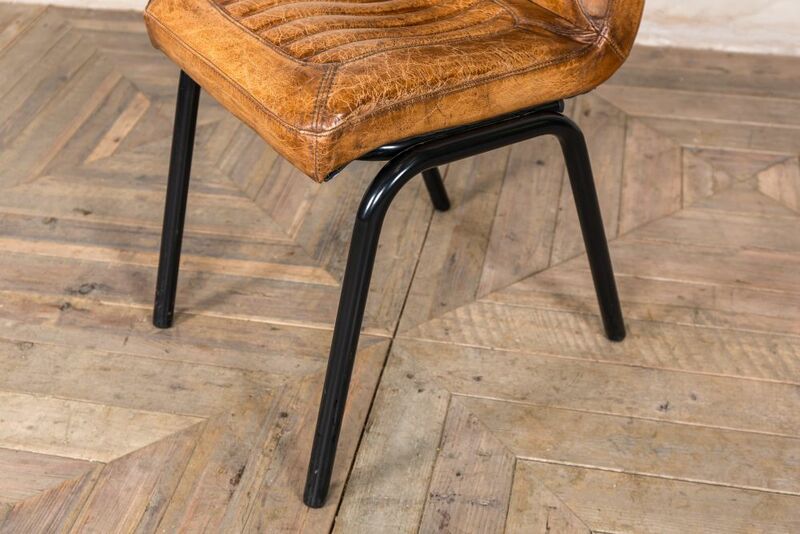 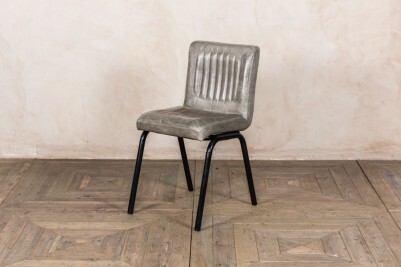 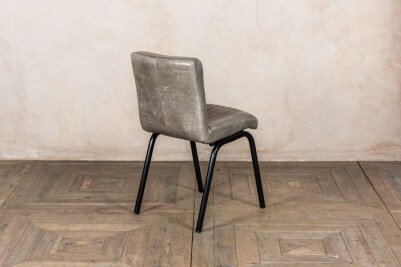 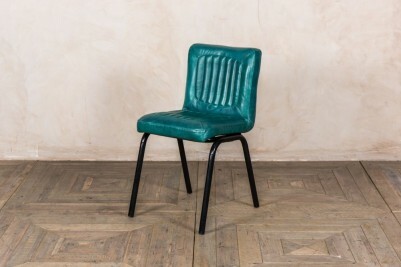 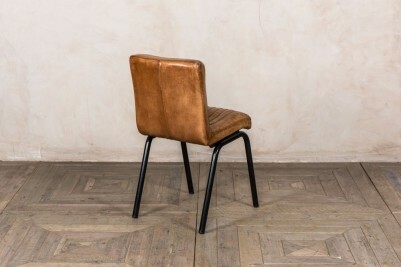 These stunning distressed leather dining chairs come in three colours, offering something for every interior. 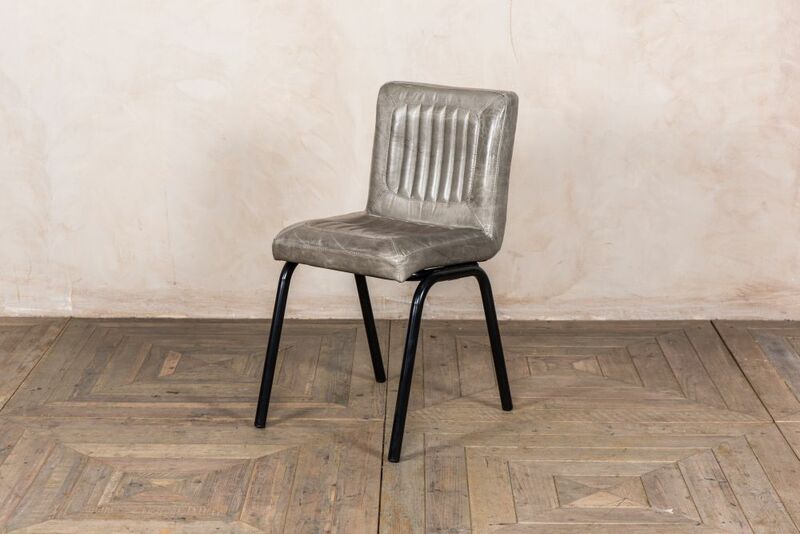 Available in concrete grey, teal, or tan leather, the ‘Jenson’ is ideal for use as a dining chair, or even a comfortable desk chair. 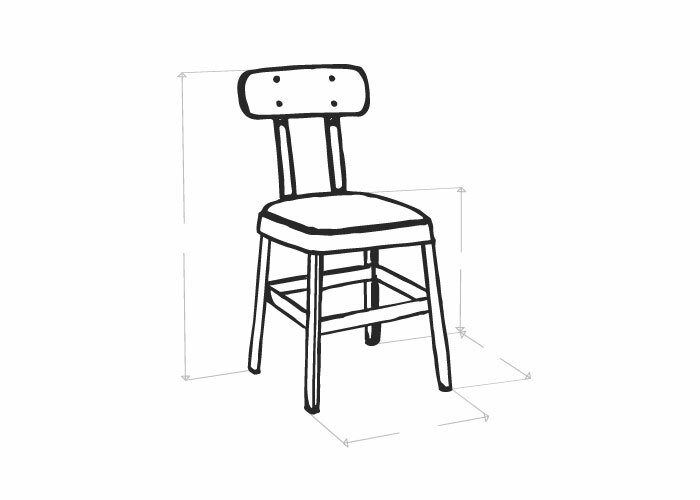 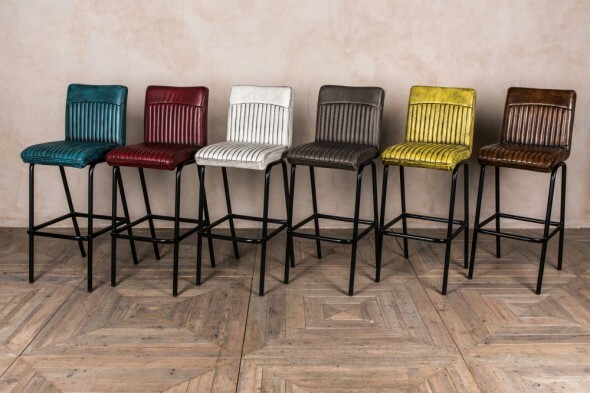 Restaurants, pubs, and bars could make good use of these chairs; we even stock matching bar stools in two heights. 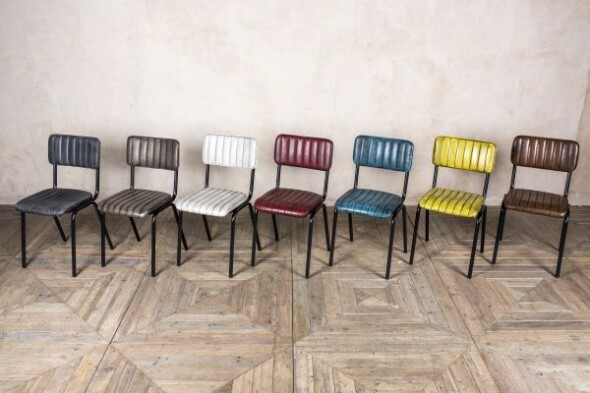 The ‘Jenson’ chairs would suit a neutral or bright colour scheme. 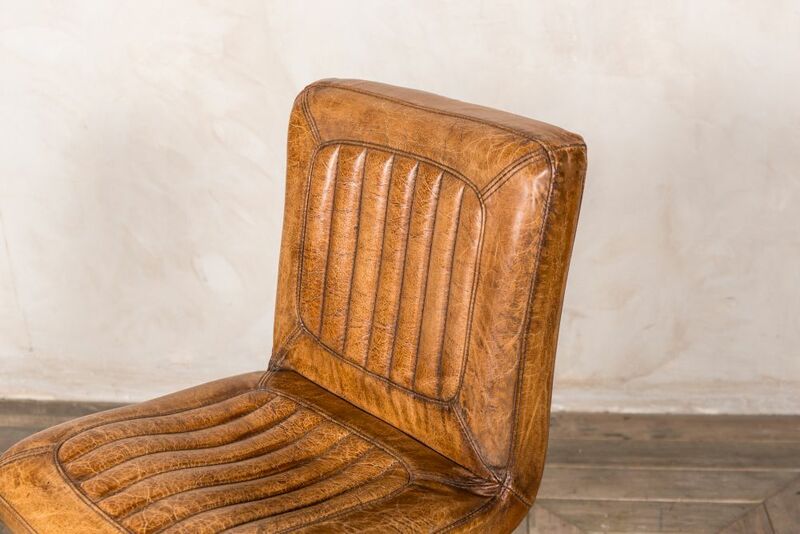 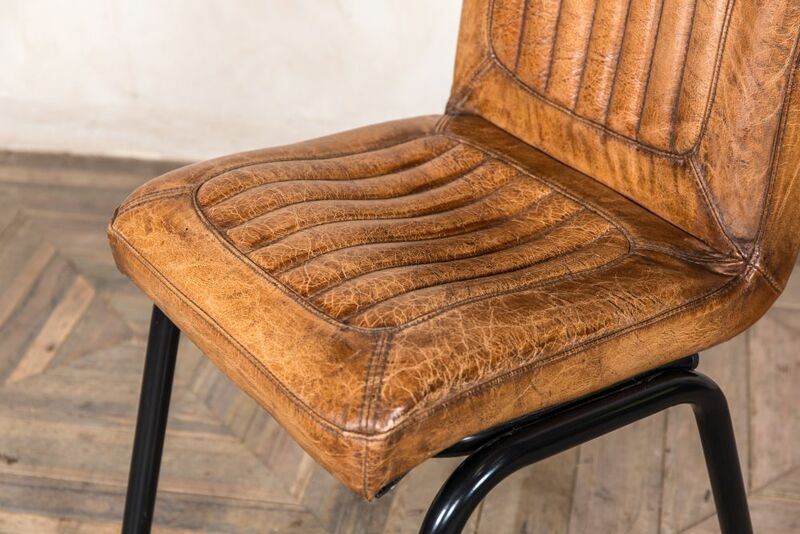 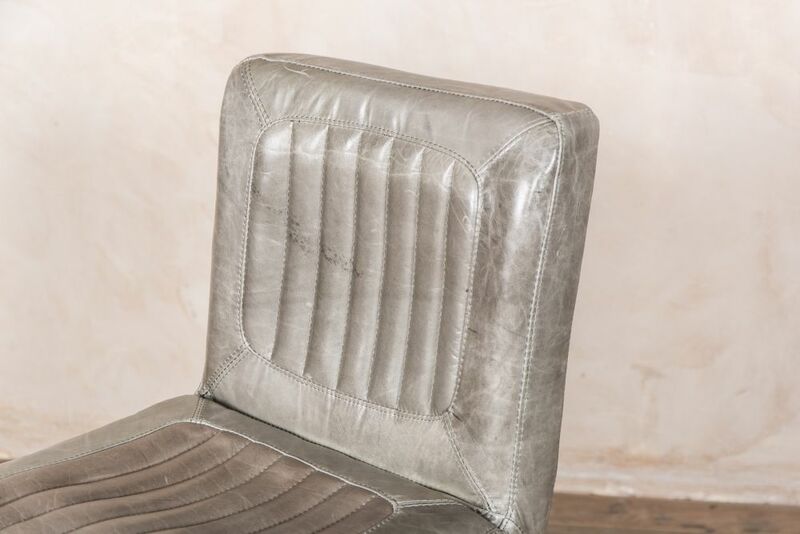 The elegant ribbed stitching on these chairs paired with the natural scarring of the leather gives them a fantastic vintage appearance. 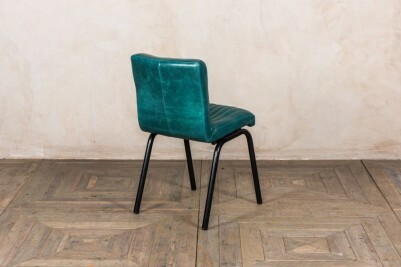 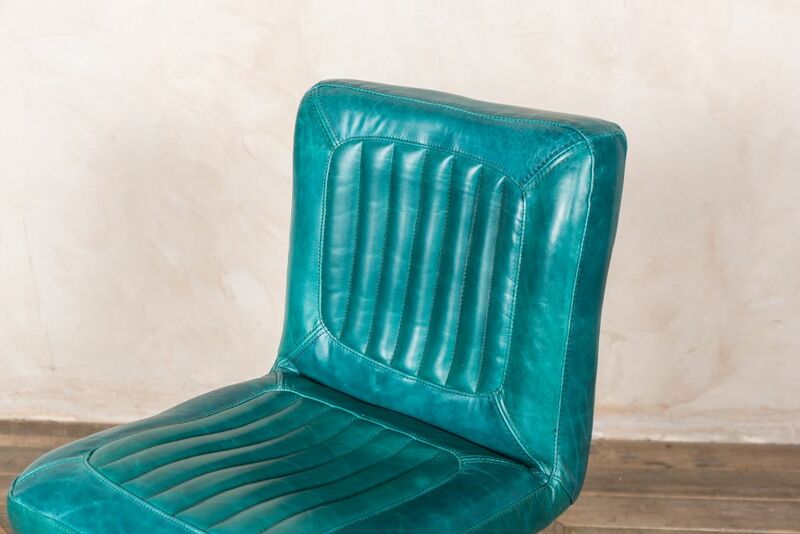 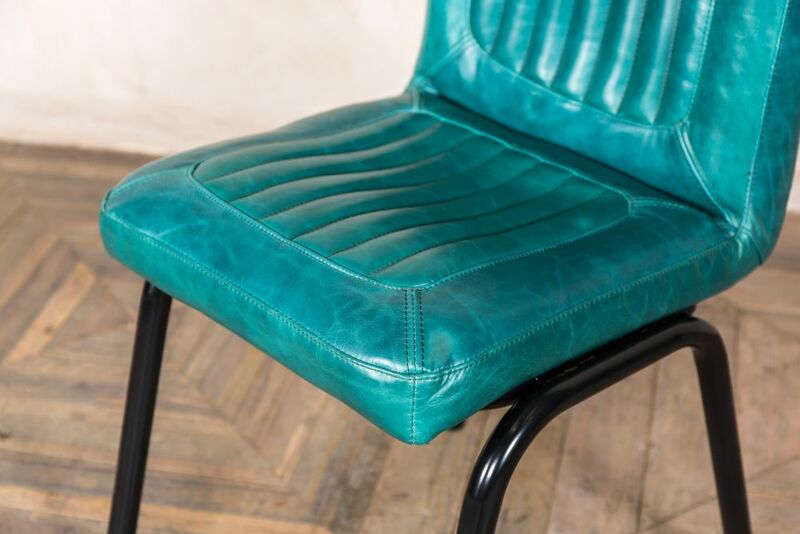 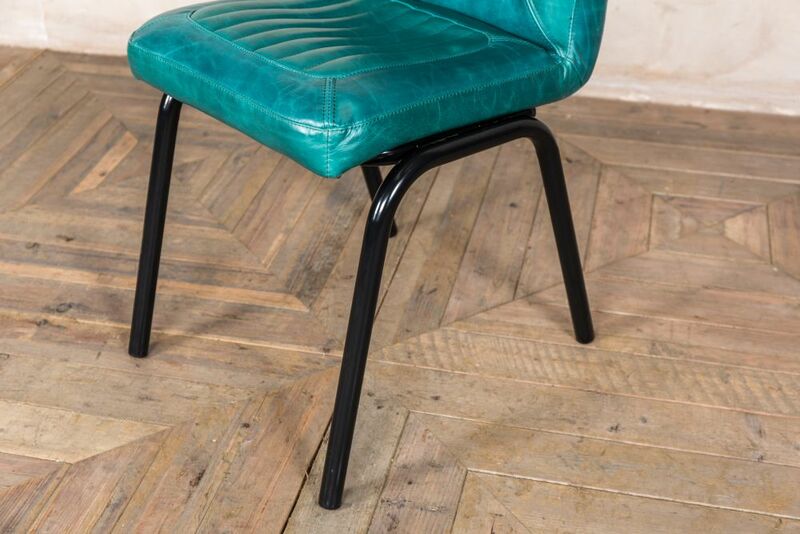 The tan leather chair would look great in a vintage style space, whilst the teal or concrete distressed leather dining chairs could be used in a more modern interior. 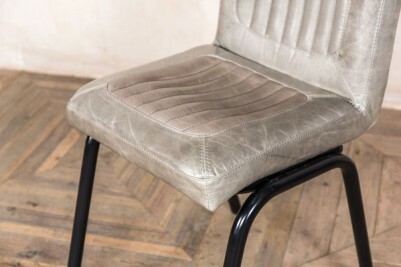 As leather is a natural product, please allow for some natural scarring to the upholstery that we feel only enhances the character of these chairs.